Well nobody loves cleaning, but nobody likes to live in a dirty house too. That is why cleaning is more than a necessity than a hobby when it comes to the health of your family, look of your interior and making your house beautiful. But sometimes we need more than just regular cleaning, a deep and extreme cleaning to give our house a finished look. It not only take away all the germs but these little elements clean house will make your home more tidy and beautiful. Usually, we have a cleaning routine for our house which includes cleaning our bathrooms, washing clothes, washing dishes, vacuum cleaning and dusting, etc. but most of the time some spots are ignored and need attention too. These places around your house or furniture tell the story of untidiness and require an extreme cleaning too. Therefore today I will share some easy hacks with you which will help you spot some dirty corners of your house and methods to remove stains, deep clean it and make it as presentable as possible. Most of us completely ignore the importance of cleaned houses that is why dustpans and brushes are one of the dirtiest things in the house. That is why when we talk about the full cleaned house, these dustpans and brooms need to be deep cleaned. That is why when you want to clean your house thoroughly you have to start with your broom and dustpans. The amount of dust and germs your dustpan and broom gets is pretty nasty and if you want to clean your house deep, you need to start it with dustpan and brush. Take some bleach or washing powder and water and wash it, completely dry it and use it again. Porcelain sinks look nice in bathrooms and kitchens, but the primary issue is how much you clean it, some stains will remain there which seems dirty. Therefore instead changing it, you can go for cheap and straightforward baking soda hack which will not only give it a bright look but also removes all types of stains and dirt and leave it shiny without damaging the ceramic. Put some baking soda on your porcelain sink and leave it for 5 to 10 minutes, rub it and wipe it off and see the difference. Even if you have a clean pillowcase, your yellow pillow will look ugly. These pillows might have germs and bacteria hidden inside it. That is why you need to clean them as soon as you can. Put your pillows in a regular washing machine with water and laundry detergent, add some bleach too and wash it. Hang it to dry and toss them in the dryer to quickly dry. How does your electric stove burner look like? Grimy and dirty? Since you keep on dropping things on your electric stove burner, it becomes hard to clean it but don’t worry we have a hack for you. Take your burner out and wash it with clean water and dish soap, make a thin paste of water with baking soda and apply it all over the stove. Let it sit for 20 minutes, wipe it and place the clean and shiny burner back. If you have a glass cooktop you have experience endless starches on it, on the other hand, they are too sensitive and fragile to clean as you cannot scrub it. Therefore we have brought you a simple and easy solution, apply some baking soda and vinegar on it and with a damp sponge or rag, gently clean and scrub it. You will see all the tough stains of grease are gone while you glass top is nice and shiny at the same time. Invested in an expensive sofa but it is stained or dirty?. Don’t worry we will help you clean it. Many times your old couch lost its look just because of stains on elbow and cover especially when it is made from cloth. Therefore you can make a mixture of water, detergent, baking powder and fabric softener and apply it all over your sofas and couches. Take a damp brush in warm water and scrub all over it. Now take clean water with a wet cloth and wipe all the soap off. Allow it to dry for few hours before using and sitting on it. Nothing makes your home feel fresh, clean, tidy and beautiful than a beautiful carpet. Most of the time you need to clean your rug deep since it gathers all the dirt and germs from outside, shoes and indoor dust. 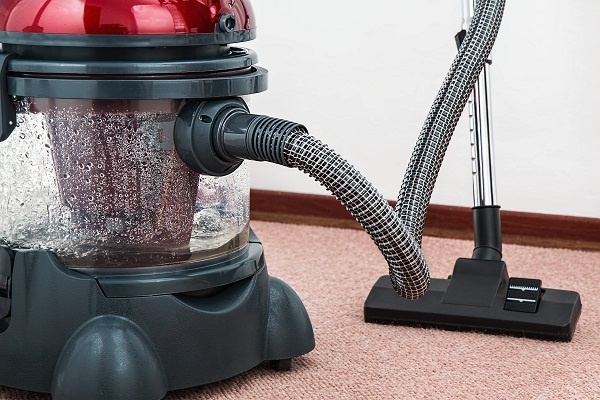 That is why just vacuum cleaning is not enough to clean your carpets and rugs of your house. The best way to clean your rugs at home is with Oxyclean laundry detergent, wet your rug and apply this detergent on it, scrub t with brush and respray it. Roll the carpet and ring it out. Repeat the process and let it dry before using. Yellow stained and dirty bathtubs pull the interior and look of your bathroom down. No matter how much you clean it, it always needs to be clean. That is why you can use a simple and easy hack. Apply some nail polish remover directly or through a sponge and apply it all over the yellow stains. Leave it for 5 to 10 minutes. Rinse it off to remove the smell of acetone. When vent of your house is dirty and dusty, you don’t have to take out time to clean them individually. A great tip to quickly do it is to pop vent covers it in the dishwasher and wash it until they come out clean and sparkling. All you need to do is install them again for improved air quality.